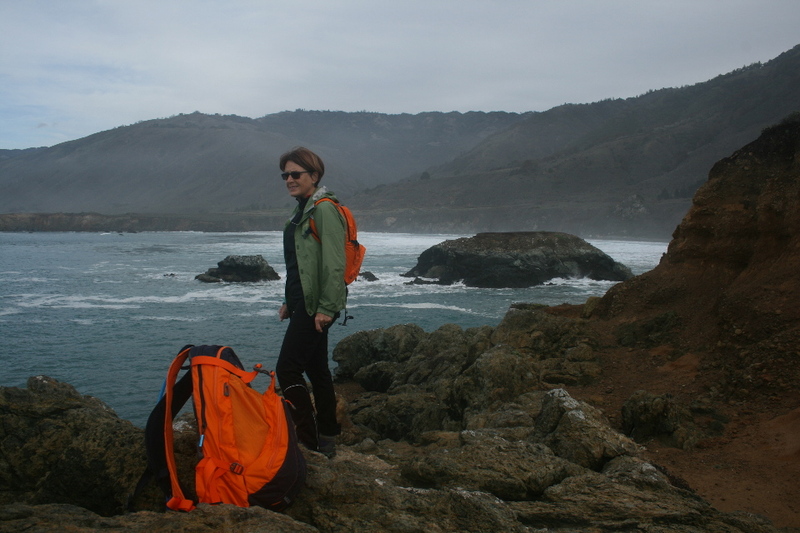 This is a trip we did in January, our first “real” trip after the delivery from Hot Springs Arkansas. The report has languished in draft mode for too long, if I don’t finish it right away it finds it way onto the To Do list and can get stuck there for ages. 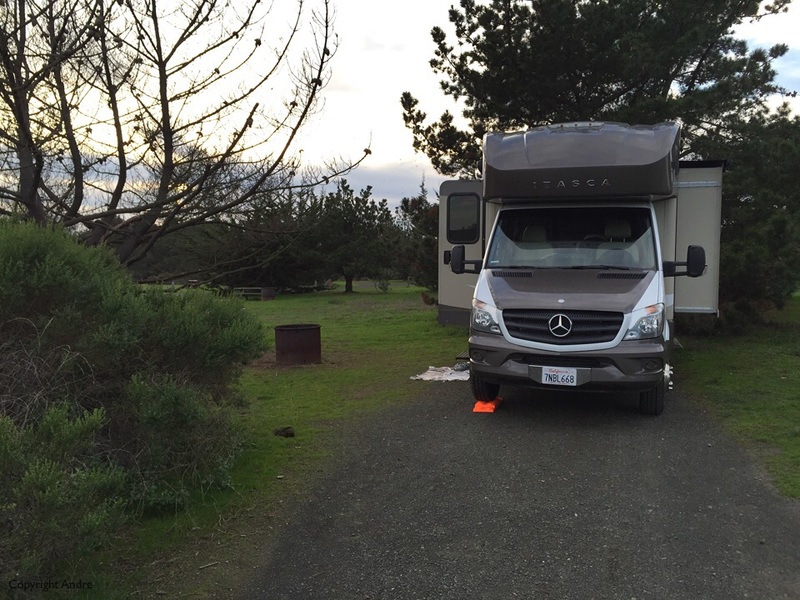 It’s winter but we live in California so why not take an RV trip, no cramped, leaky tents to worry about. 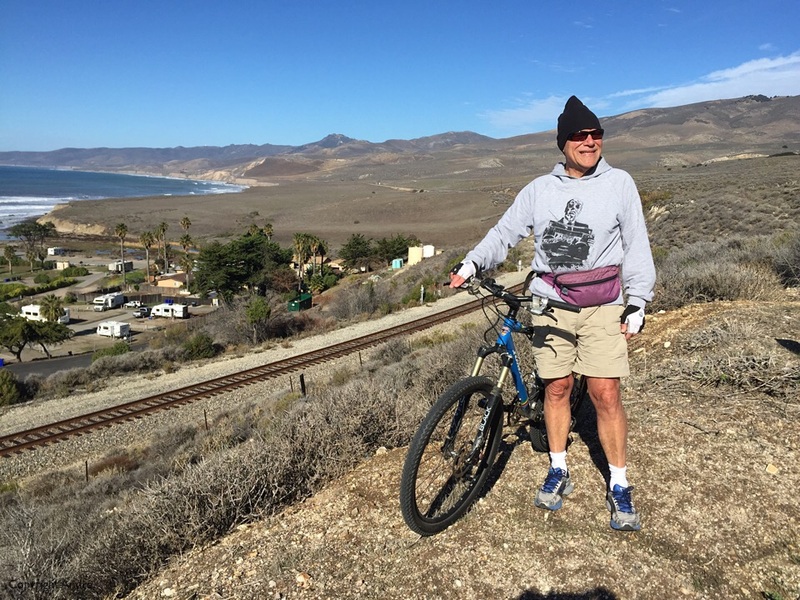 Out for a bike ride and, yes, it was cold. Turn around point along the road leading into Jalama. 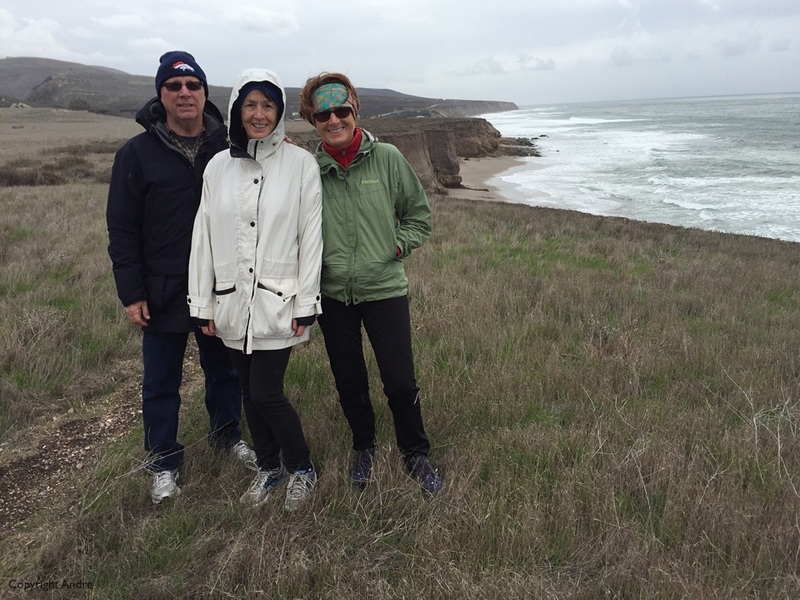 Walk along the bluffs with Ann & Jerry. 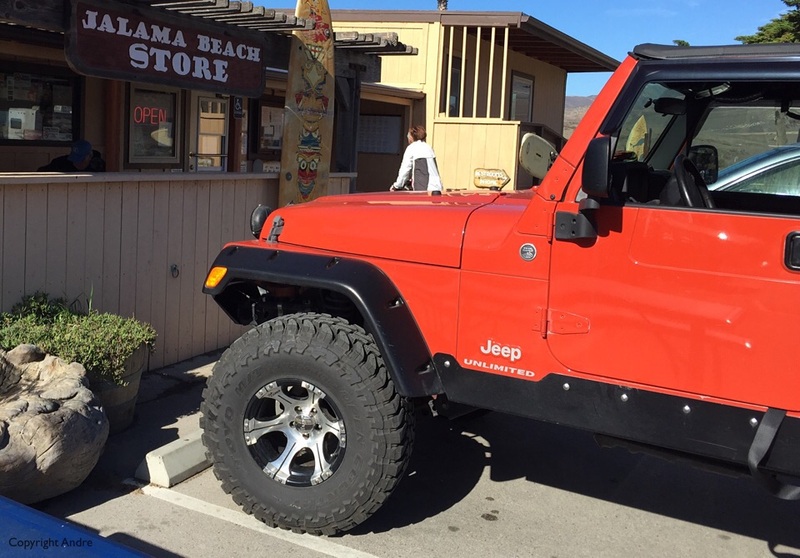 Campground store and home to the famous Jalama burger! 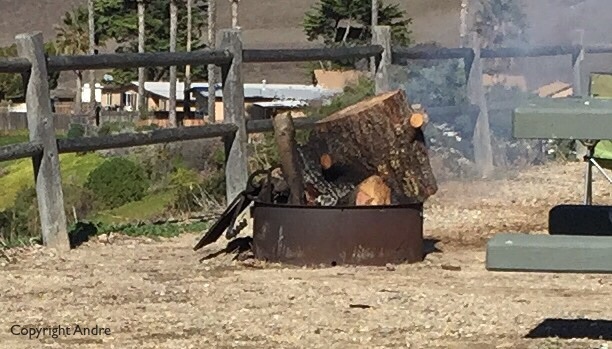 The whole stump actually burned all the way down. 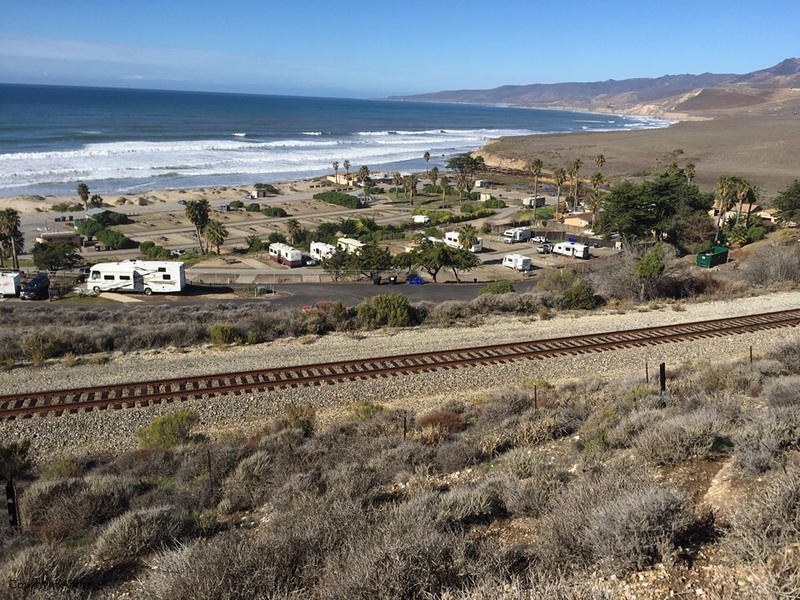 After our 3 reserved nights at Jalama Beach we headed north up along highway 1 towards Big Sur. 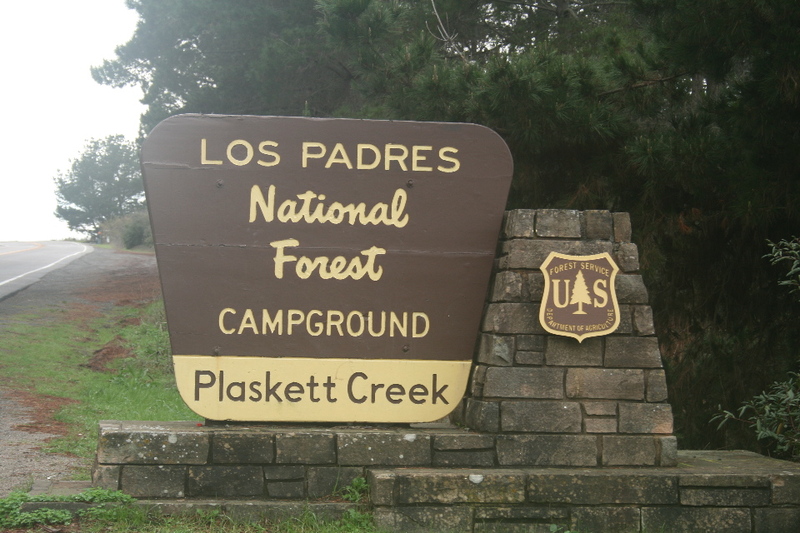 At Ragged Point the road gets really narrow & twisty but there was this National Forest campground that I had never been to and that was our destination for a few days. Plaskett Creek comes up right on schedule and we check in with the camp host. “Pick any site you want” and we circled twice before picking one that was pretty much like all the rest. 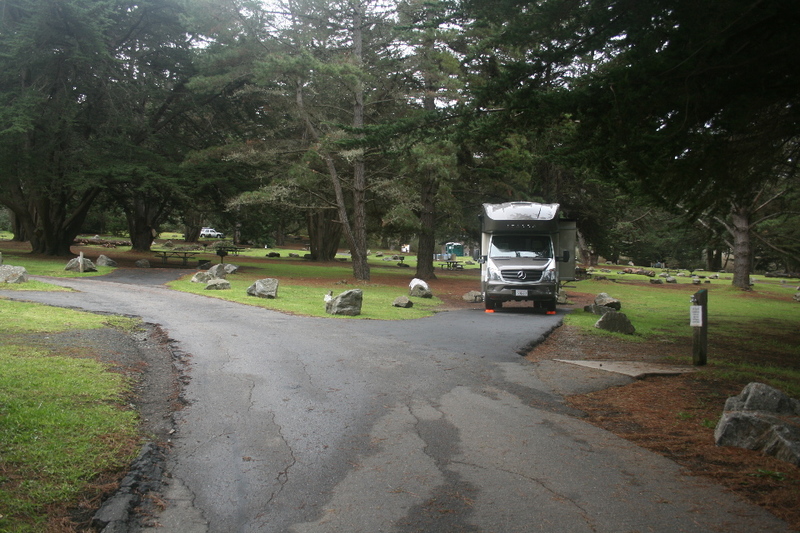 Our spot in the beautifully deserted campground. We are used to our arrival routine: Is the RV level?, OK, put the slider out and then switch off the engine and crack a couple of beers to celebrate arrival! This time we brought along Kimo, our favorite cat. 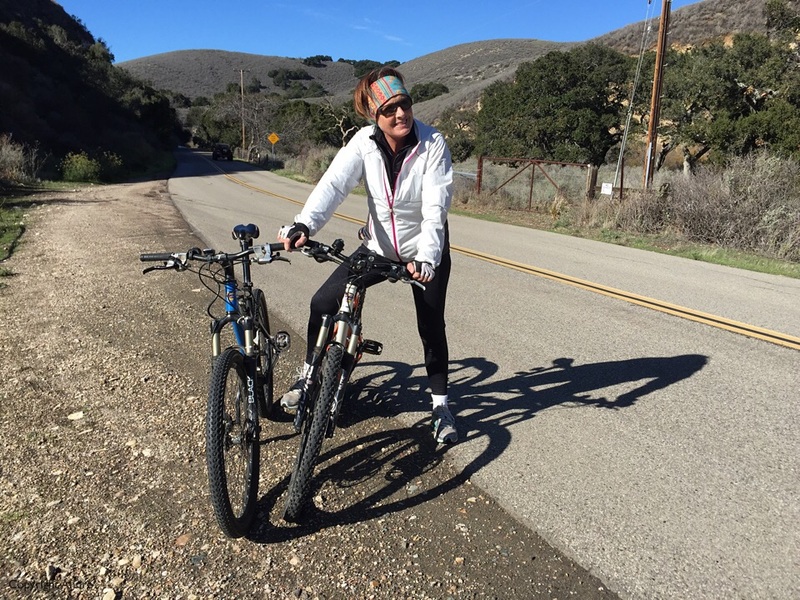 While she had not gone bezerk yet she had hid under the bed covers for most of the time at Jalama. Here it was quieter so Rose hooked her up to her new leash and lo & behold she was all keen to explore and took Rose on a trip around the campgraound. 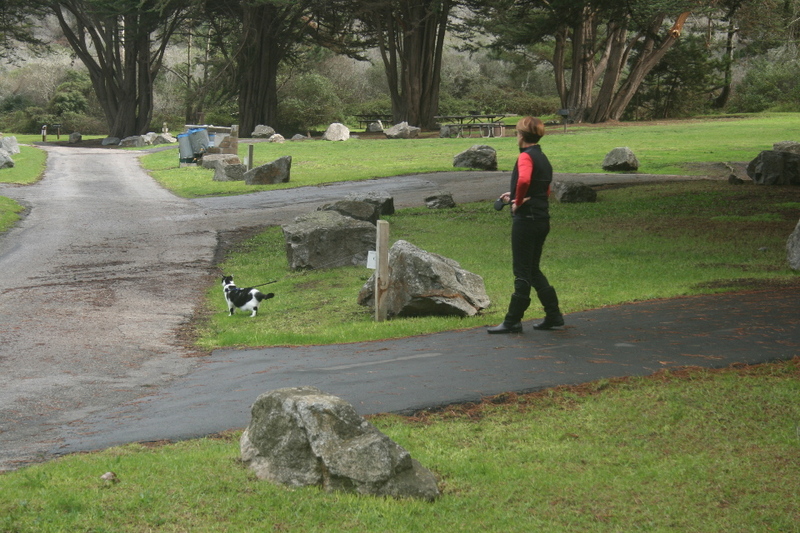 Rose walking the cat. You have to see it to believe it! 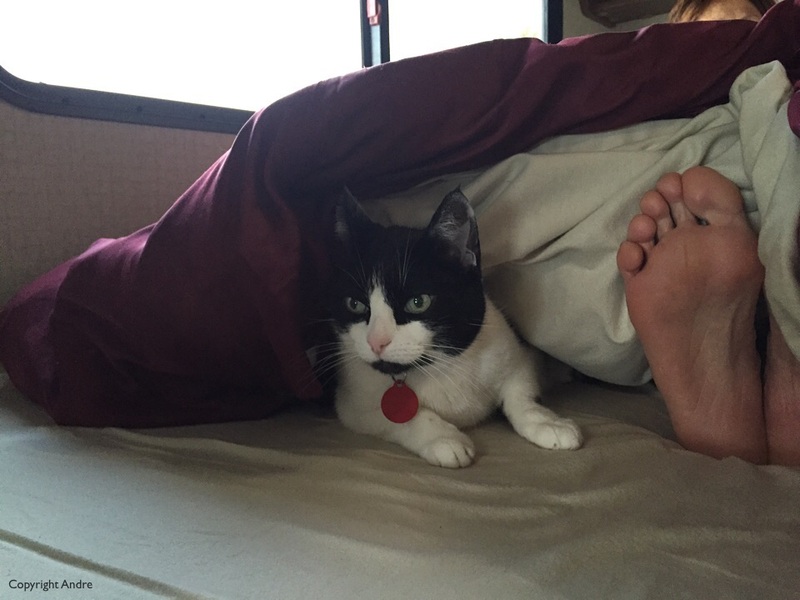 Her preferred place was under the bed covers. 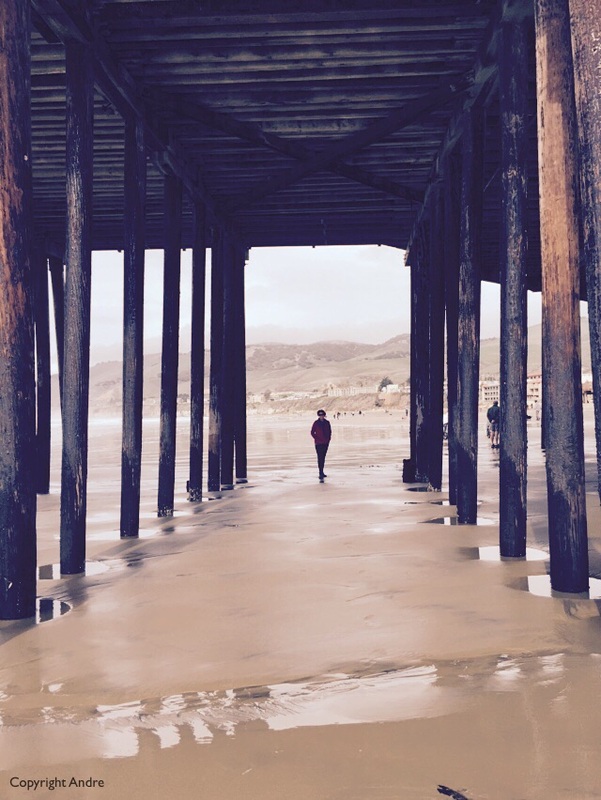 Sand Dollar beach, a short walk away. 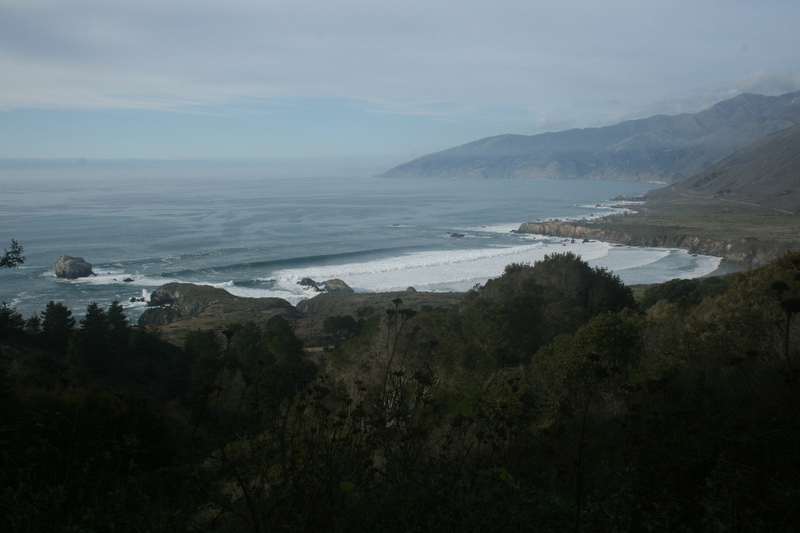 Surf was rough as the Pacific swells swept in. 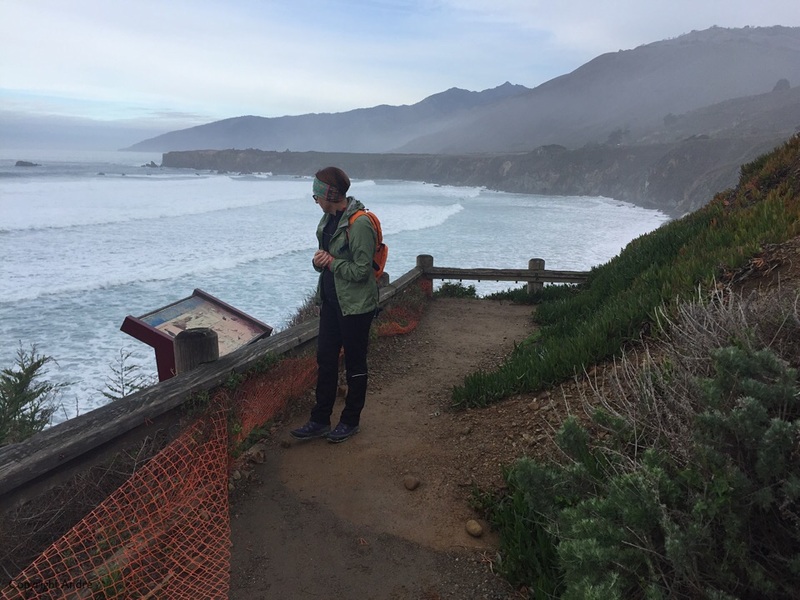 This was our turn around point and we retraced our way back down to Hearst San Simeon State Park, another unexplored spot just outside the trendy town of Cambria. Picked a site in the Washburn section, up on a hill with some good views. Our site in Washburn campground. 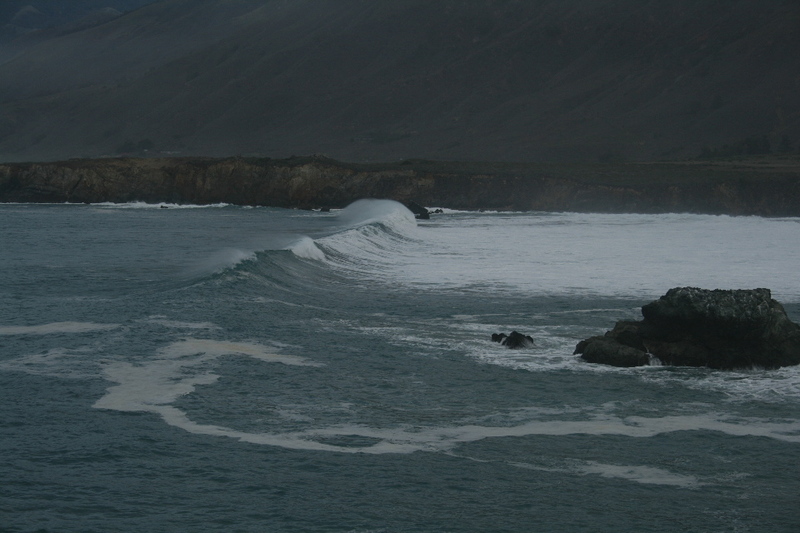 More angry surf along the coast. 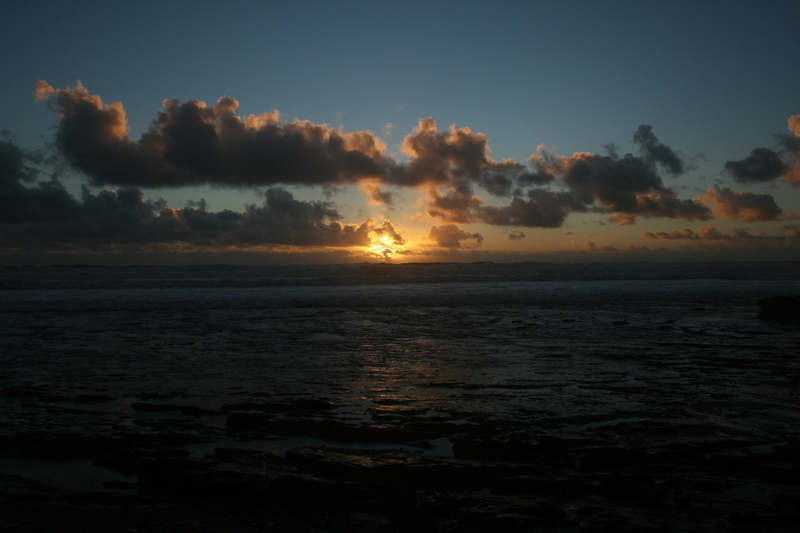 Sunset, time for a glass of Central Coast shiraz. 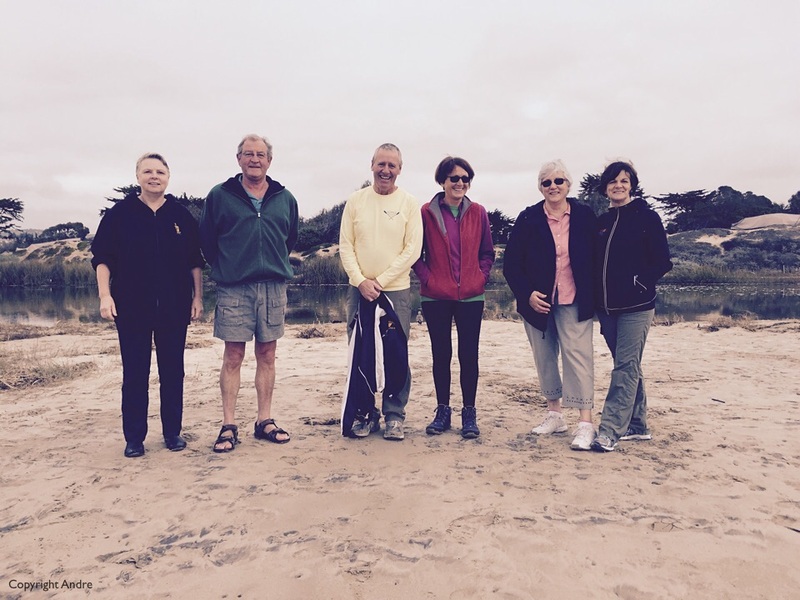 Last stop was in our friends Charley & Chris’s driveway and walk along Pismo Beach. 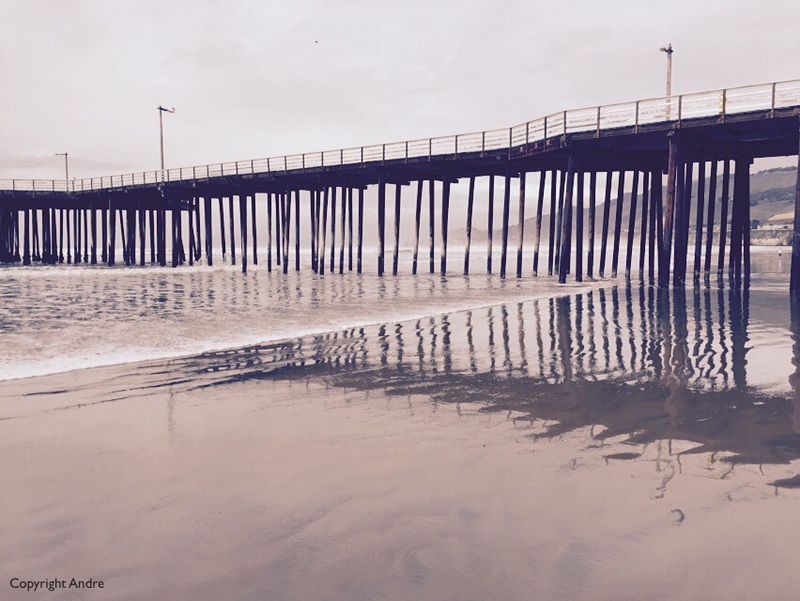 The pier at Pismo Beach.